If you want shutters in your home before Christmas, then our cut-off is soon approaching. Make sure you order before October the 20th to avoid disappointment! While we know that people step back in horror at the high street shops putting up decorations in September and those Christmas promotions popping up from mid-July, the world of shutters needs to approach the subject slightly earlier on for a good reason! As always, our lead time in approximately 9 weeks (one of the fastest in the UK!) This means that if you require shutters in your home before Christmas day – then you need to get your orders in before Monday October the 20th. Picture the scene; tree is up, littered with well wrapped presents underneath and sparking trinkets hung from the branches. The fire is lit and filling the room with that natural fire heat, synonymous with Christmas. The TV on quietly in the corner playing Christmas songs. However, most importantly, your brand new Shutterly Fabulous shutters tilted just right to let the light into the room keeping a perfect mellow atmosphere. I can almost taste the mince pies thinking about it! 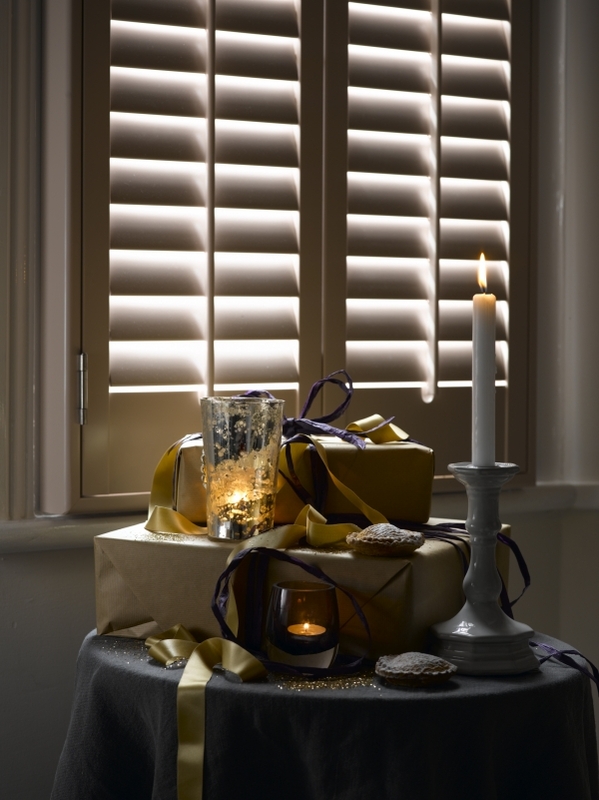 So if you want to get in your shutters on time for a Shutterly Fabulous Christmas – make sure you contact us as soon as possible so we can arrange a consultation. Get in touch fast, as we’re about to hit the busiest time of the year.